Two teams from the Albert Nerken School of Engineering took both the first and second prizes in the annual Institute of Electrical and Electronics Engineers regional Undergraduate Student Paper Contest on March 24th. Brenda So (left) and Cory Nezin, both electrical engineering seniors, won the top prize for their paper, "Convolutional Neural Networks for FPGAs." 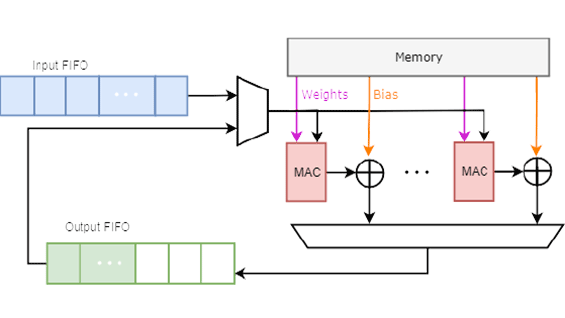 In other words they apply a convolutional neural network, commonly used in artificial intelligence, to a field-programmable gate array, an integrated circuit used in most consumer-level computational electronics, like smartphones. "We did this project because we realize that there are a lot of AI research in the academic field recently but there's not a lot of studies on the feasibilities of the AI in real life," Brenda says. "Recent advancements in AI are largely due to the development of electronics that can deliver high computational power, such as graphics processing units. But most electronics nowadays, such as mobile phones, routers etc., are small and low power, and putting something as big and bulky as a GPU on these small embedded systems are pretty impractical. Therefore, we are trying to develop a framework that allows us to put state-of-the-art AI on small electronic systems. Our research is the first step to developing small but accurate AIs in hardware. It can be useful in things such as communications electronics, smart embedded systems etc." 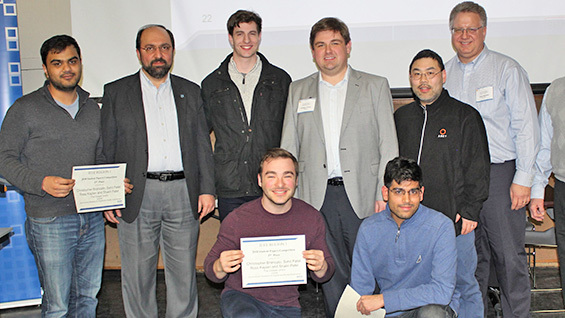 Second prize in the Student Paper Contest went to Shalin Patel, Chris Brancato, Ross Kaplan, and Sahil Patel, all electrical engineering seniors. In a work they titled, "SHARE: Synchronized Headsets for Augmented Reality Experiences," they address the challenge of virtual reality interaction between users. 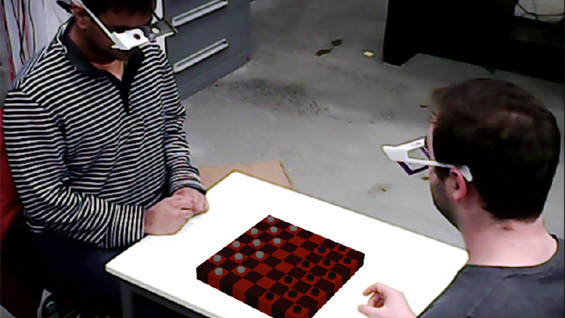 They are devising a way to allow the wearers of two virtual reality headsets to operate in the same virtual space, in this test case by playing a game of virtual checkers. The board would appear in VR space between the two users and the software would track their hand position as each player moves their digital checker piece. After building a single headset for testing the team is now in the midst of building a second one that they hope will prove their research as valid. Watch Ross Kaplan explain the project as part of our 30 Seconds in the... video series.